Using its own statistics of frequency of problems and hard cash paid out for repairs, Warranty Direct has nominated the Most Reliable and Least Reliable cars built between 1990 and 2009. In celebrating its 15th anniversary during 2012, Warranty Direct studied more than 200,000 live and historical policies spanning the decade and a half since it started recording reliability data with its unique Reliability Index in 1997, for cars dating back to 1990. The Reliability Index has become an industry benchmark for used car reliability, using a complex formula to rank more than 450 individual models, taking into account factors such as how often the car breaks down, how much it costs to repair, plus average age and mileage. Click through the gallery below to see the least reliable cars, or click here to see the list of the most reliable. If you look at the most reliable cars you'll not that they're typically small and simple - the opposite of the cars at the least reliable end of the scale. 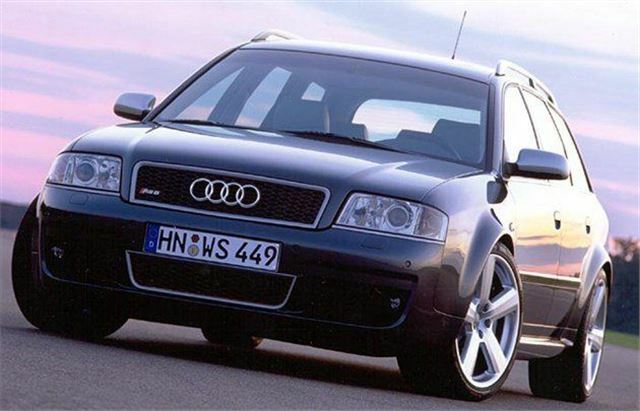 Thanks to a combination of common failures and expensive repairs the 2005 RS6 is Warranty Direct's least reliable car of the past 20 years. We drove to the far north of Scotland every year at least once and never failed to reach there or return home. The 2.1 diesel estates I ran would do in excess of 50 mpg on that journey, no special preparation we just got in and went. I admit they were a complicated car for the time but they gave a superb ride on the hydropnumatic suspension which wasn't nearly as fear inspiring as many people believed, if you are familiar with basic physics and a bit of electronics you can repair them. Mine were all well secondhand and I maintained the from the scrapyard. I must have covered nearly half a million miles in them and I would still run one if most of them hadn't fallen to pieces. A list obviously dominated by more exotic German cars! All sounds familiar. I loved the XM - at least it is more of a "throwaway car" and if a large failure occurred- you could just throw it away! Interesting how most of these cars are VAG, BMW and Mercedes! Range Rovers used to rust horribly - and then they substituted that issue for mechanical / electronic over-complexity. Citroen always built a quirky car - but they were always (as has been said) throwaway cheap..
fast and with wood / leather trim lovely inside. Sold 3 years ago and its still going strong. Main issue Mercedes servicing costs......disgusting. If you own one find a good local garage and stay away from the Mercedes garage con men!